A non-malignant tumor of the nerve is best defined as a Neuroma. 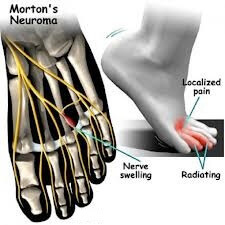 On the contrary the term Morton’s Neuroma is a misnomer as it is not really a tumor of the nerve; rather it is a thickening of the skin around the digital nerve. The nerve predominantly supplies the toes and when affected, there is a sensation of numbness and persistent pain in the fore foot (ball of the foot). 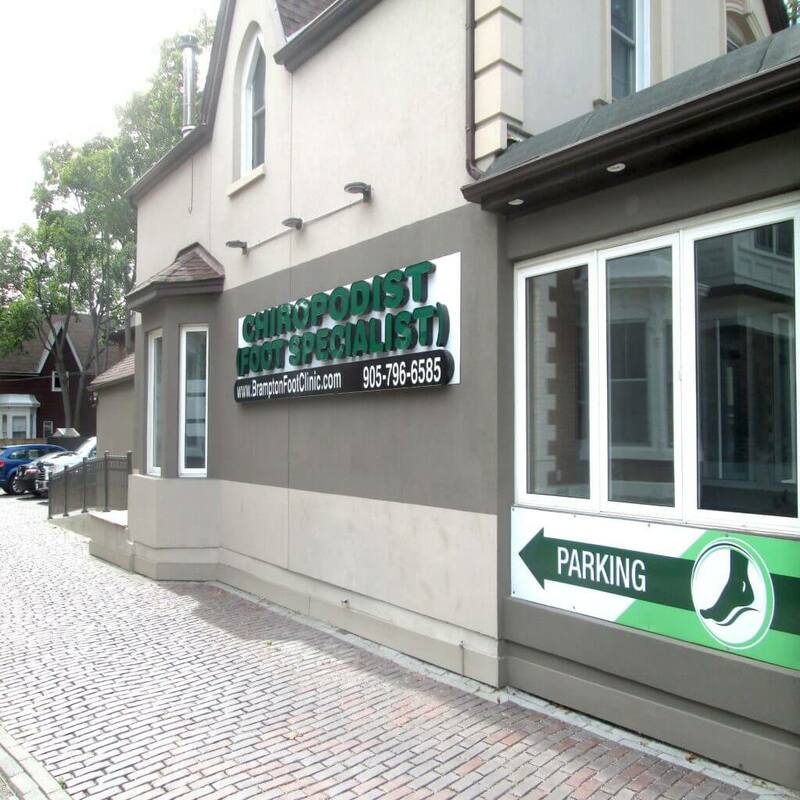 The Foot clinic Chiropodist may advise you to wear soft and broad toe shoes with little or no heels. In instances where the pain and swelling is severe, corticosteroid injections may be advocated in an endeavor to control or minimize the symptoms.